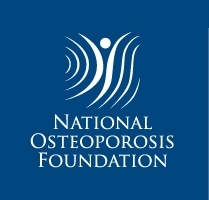 Osteoporosis is common, and physical activity is important in its prevention and treatment. Of the categories of historical physical activity (PA) examined, we found that weight-bearing and very hard physical activity had the strongest relationships with areal bone mineral density (aBMD) throughout growth and into adulthood, while for measures of strength, only grip strength proved to be an independent predictor of aBMD. To examine relationships between aBMD (total body, lumbar spine, proximal femur, tibial shaft, distal radius) and estimates of historical PA, current strength, and cardiovascular fitness in adult premenopausal women. One hundred fifty-two adult premenopausal women (40 ± 9.6 years) undertook aBMD (dual-energy X-ray absorptiometry (DXA)) and completed surveys to estimate historical physical activity representative of three decades (Kriska et al. ), while subsets underwent functional tests of isokinetic strength (hamstrings and quadriceps), grip strength (hand dynamometer), and maximum oxygen uptake (MaxV02; cycle ergometer). Historical PA was characterized by demand (metabolic equivalents, PA > 3 METS; PA > 7 METS) and type (weight-bearing; high impact). 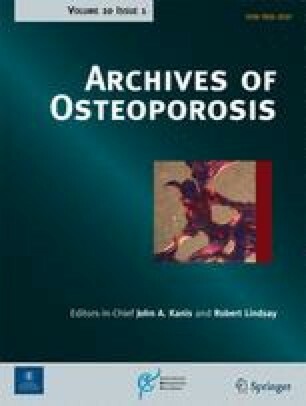 Significant positive independent predictors varied by decade and site, with weight-bearing exercise and PA > 3 METS significant for the tibial shaft (10–19 decade) and only PA > 7 METS significant for the final two decades (20–29 and 30–39 years; total body and total hip). A significant negative correlation between high impact activity and tibial shaft aBMD appeared for the final decade. For strength measures, only grip strength was an independent predictor (total body, total hip), while MaxV02 provided a significant independent prediction for the tibial shaft. Past PA > 7 METS was positively associated with aBMD, and such activity should probably constitute a relatively high proportion of all weekly PA to positively affect aBMD. The findings warrant more detailed investigations in a prospective study, specifically also investigating the potentially negative effects of high impact PA on tibial aBMD. The authors wish to express their appreciation to the all of the participants and to the Shepherd Foundation of Victoria for funding that supported the project. Kathleen Greenway, Jeff Walkley, and Peter Rich declare that they have no conflict of interest. All procedures were approved by the RMIT University Human Ethics Committee, and written informed consent obtained from all participants in the study.